On a snowy February day in Kansas, nu marketing celebrated its 5-year anniversary. You’d think a marketing firm might think twice before selecting a February date for an event in Kansas — BUT it just made it that much more memorable! Despite the snow, nu marketing forged on with the celebration that day and had a great turnout to boot. A heartfelt thanks to each one of you who made the trek to Distillery 244 in Old Town and celebrated with us. The venue was great, the food was fantastic (catered by College Hill Deli and Catering) and the drinks were plentiful. We even brought some Arkansas craft beers (Core Arkansas Red, Ozark Beer Company IPA, Bike Rack Brewery Epic Amber, and Fossil Cove Blonde Ale) that went over pretty well. It was wonderful to see everyone mingling. Lots of laughs were shared, new friends were made among some of you, and old connections renewed. We are grateful, thankful, blessed, joyful, and humbled that so many braved the weather to enjoy the evening with us. 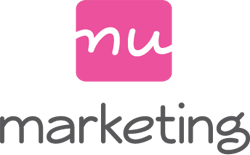 Without all the support of our clients, partners, friends, and family, nu marketing wouldn’t exist. Each one of you reading this has played a part, large or small, in the success of nu marketing. THANK YOU! It’s been a rewarding journey so far and every day reinforces why I started nu marketing. We look forward to building on the relationships we have, developing new ones, and celebrating many more anniversaries in the years to come — hopefully without the snow! There are so many personal stories about this nu marketing journey that I haven’t shared with many people. But one of my earlier and most exciting memories in particular was the day I received that first check from a client. I actually took a picture of me and the check! Not because of the amount (because it wasn’t much) but because of what it represented: the idea that someone was paying me directly for my talents. It’s different than receiving a paycheck from an employer; I had to meet with this client, earn their trust (which luckily, was already established), and get them to sign a contract. This was something I really hadn’t ever done. It confirmed I was doing the right thing in helping many companies — instead of just one — with marketing and business development. It boosted my confidence in the decision I had made to start nu marketing. Today, every time I deposit a check, I think of that first check and how grateful I am to have the wonderful clients that trust me. Check out the photos (taken by T&J Studios) from our 5-year anniversary celebration on our Facebook page. Got a business anniversary of your own coming up? nu marketing would be happy to assist you with a plan to maximize your firm’s anniversary. We can also help you with all the details of the events, too (including the party, open houses, or employee events). Give us a call today!